A former UKIP councillor and ex-Royal Marine was given a life sentence for murdering his wife after he committed adultery with the mother of their grandchildren. 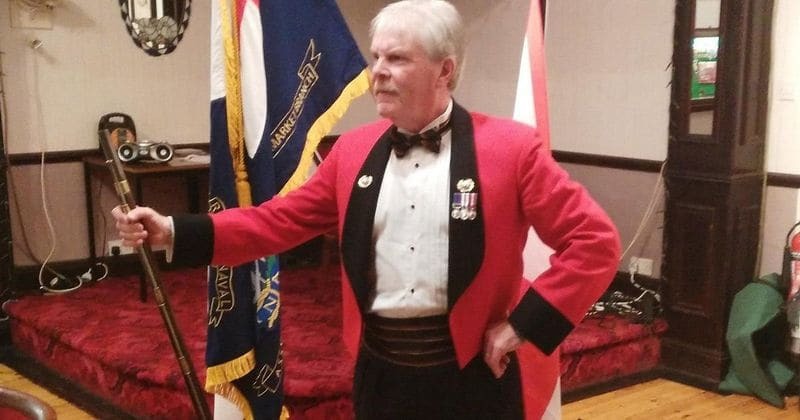 Stephen Searle, a former Royal Marine, and ex-UKIP councilor was sentenced to life in prison at the age of 64, for the murder of his wife, Anne Searle, 62, after she had discovered that he was cheating on her with their son's girlfriend, the Daily Mail reported. Justice Green who sentenced him told him, "You caused devastating waves of pain to crash through your family." Anne was discovered strangled to death at the £400,000 home they shared in Stowmarket, Suffolk, on December 30 last year. Stephen was sentenced to a minimum of 14 years at Ipswich Crown Court, a verdict that came on the heels of his recent prostate cancer diagnosis. The judge told him, "You have deprived your children of the mother that they loved. "You have deprived your grandchildren of their grandmother and you have deprived Anne of the remaining years of her life. You will spend a good part of the remainder of your life, and possibly all of it, in prison," he ruled, in light of his diagnosis. Stephen appeared to maintain a stony demeanor as he was jailed, looking straight ahead without a reaction on his face. He had been married to his wife for 45 years before he strangled her. The marriage started to fall apart when his affair with his son's girlfriend, Anastasia Pomiateeva, was discovered. Stephen's son, Gary Searle, 44, revealed his decision to forgive his partner, Anastasia, for her role in the affair, and claimed that the whole ordeal had "brought us closer together." However, he refuses to forgive his father, whom he claims broke his heart. Gary said, "Me and Anastasia just love each other so much that if anything this has brought us closer together. We will be together for the rest of our lives, until we are old and grey. We have all done things in our lives we are not proud of." Gary told the Daily Mirror about his reaction to finding out about his father's infidelity. "When I found out it was ­heartbreaking. I just couldn't believe the man I absolutely ­idolised and worshipped had done something like that to me." Justice Green revealed to the court that Stephen had been arguing with his wife on the eve of her murder. The judge said, "Anne died because you compressed her neck for a substantial period of time. At some point, probably after 8-15 seconds, she would have gone unconscious. "But you then continued to compress her neck causing hemorrhaging within the head and brain. Eventually, the brain will have stopped, and it would have then ceased sending messages to Anne's vital organs, including her heart. And so she died." He added, "I, therefore, take it that you killed her when you were face to face with her." The extraordinary 999 call former UKIP councillor Stephen Searle made to police an hour after murdering his wife. The murder was alleged to have not been premeditated, and that Anne may have attempted to attack Stephen with a knife. The judge spoke of Anne discovering the affair the previous summer: "When confronted you first wriggled, squirmed and denied. "You even claimed at one stage that you were seeing a man. But then you admitted to the affair and it came to an end." The judge said that by committing the murder in Anne's home, he had breached the "trust that exists or should exist between a wife and husband of long standing." Anne had told her colleagues at work that she was not keen on ending her 45-year-long marriage to Stephen because she thought she was "too old to start again." Stephen's face was expressionless as the judge read out the verdict after a six-day trial. After the verdict was delivered, senior investigation officer Detective Chief Superintendent Eamonn Bridger of the Suffolk Police said, "Anne Searle's death was a tragic crime and our sympathies remain with her family and friends. "Whilst crimes of this severity remain a rare occurrence in Suffolk the community can take reassurance that the man responsible has been brought to justice for his actions. The investigation has been professionally handled by the Constabulary staff involved, leading to the right outcome at trial. "This started from the initial call handling, continued during the diligent investigation and we have worked hard to support the family through the challenging time that followed Anne's murder."